With the price of fuel and the increased emphasis on environmentally friendly vehicles, there has been a lot of attention put recently on hybrid powered vehicles. The appeal of hybrid powered vehicles is focused on those that are environmentally concerned, those that are concerned with the price of fuel, and those that are politically concerned with the western world’s dependence on oil. 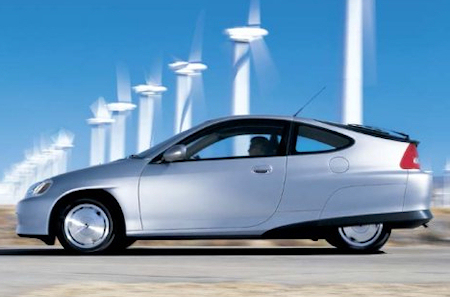 Whatever the reasons, do hybrid powered vehicles really benefit anyone or anything? If so, what are the benefits of hybrid powered vehicles? There are a number of benefits that hybrid powered vehicles have for a wide variety of people. How many and how important those benefits are is hard to say without seeing who each benefit applies to. To encourage the public to invest in this new technology there are a number of government incentives that benefit car buyers who purchase a hybrid powered vehicle. The most publicized benefit of a hybrid powered vehicle is the savings in gas. With the electric motor portion of the vehicle handling much of the power needs, the car needs less gasoline to create the power needed to move the car down the road. Using less gasoline means the owner will be spending less money on their travel or commute expenses than owners of standard automobiles. Due again to the electric motor portion of a hybrid vehicle being present, there is less exhaust emissions eminating from a hybrid vehicle than from a standard automobile. An additional benefit would be that with each hybrid vehicle that is on the road there is that much less gasoline being used. This stretches out the usability of the world’s remaining oil resources. Many hybrid vehicles come with fantastic warranties to take advantage of. Some warranties reach all the way up to 100,000 miles or more and even cover the batteries used to store the excess power. One of the worst parts about buying a new vehicle is how much the value of it decreases from the moment you drive it off of the car lot and then each year after that as well. Hybrid vehicles have so far shown to hold their values very well in comparison to standard vehicles. Hybrid powered cars come with a number of benefits that a wide variety of car buyers can take advantage of. The more that this still new technology develops in the future, the more chance that there will be additional benefits to both current and future owners of hybrid vehicles. Based on their success on the roads and in the marketplace, it doesn’t appear that hybrid vehicles will be losing popularity or market share anytime soon.